The city of Orange is located in Orange County, California, and has a population of a little more than 136,000. The city is a bit unusual in that many of the homes in its Old Town District were built prior to 1920. Though many other cities in the area demolished such houses in the 1960s, Orange decided to preserve them. In Old Towne, Orange Historic District, many of the original structures built in the period after the city's incorporation remain intact. It is a vibrant commercial district, containing Orange County’s oldest operating bank and the oldest operating soda fountain. The Historic District is the largest National Register District in California. Since 1984, Precision Collision has provided the highest quality collision repair and auto painting available in Orange, California and in southern California. Because your vehicle is one of your most prized possessions, when it is involved in an accident or breaks down, an adequate repair is not good enough. At Precision Collision, we make it our business to give you the best job possible. 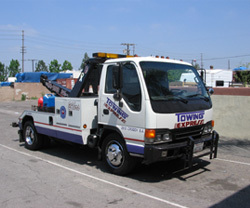 Additionally, we serve the entire Orange County area, including the surrounding areas. If you are having problems with any of these issues and want to be treated like a valued customer, call 714-997-5050 or stop by our office at 989 North Batavia Street in Orange, California. We offer competitive pricing and will get the job done professionally. Our mission is that every Precision Collision customer is “Totally Satisfied” with the work we perform. We take the stress out of collision repairs, mechanical repairs and auto painting and have customers for a lifetime.